Vintage 1990s Green Water by Jacques Fath Eau de Toilette Splash Mini Miniature Cologne with Box. The bottle is about 30% full - see photo for actual fill level. 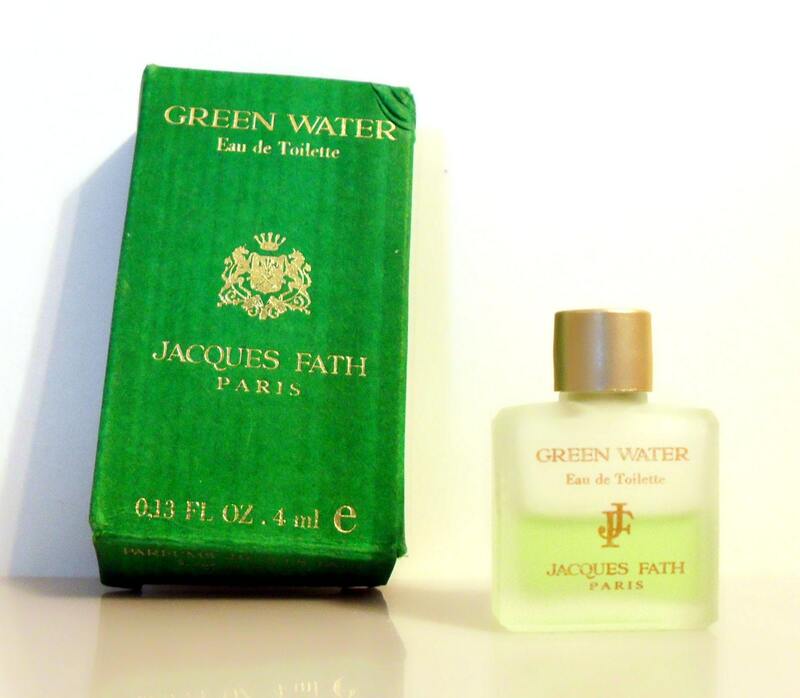 Green Water by Jacques Fath is a green aromatic fragrance for men. This is the reformulation from 1993 of the 1947 original fragrance.